Indoor thermal comfort is generally assessed using the PMV or the adaptive model. This research presents the results obtained by in-situ real time measurements of thermal comfort and thermal comfort perception in 17 residential dwellings in the Netherlands. The study demonstrates the new possibilities offered by relatively cheap, sensor-rich environments to collect data on clothing, heating, and activities related to thermal comfort, which can be used to improve and validate existing comfort models. The results are analyzed against the adaptive comfort model and its underlying assumptions. Data analysis showed that while indoor temperatures are within the adaptive model’s comfort bandwidth, occupants often reported comfort sensations other than neutral. Furthermore, when indoor temperatures were below the comfort bandwidth, tenants also often reported that they felt ‘neutral’. The adaptive model could overestimate as well as underestimate the occupant’s adaptive capacity towards thermal comfort. Despite the significant outdoors temperature variation, the indoor temperature of the dwellings and the clothing were observed to remain largely constant. Certain actions towards thermal comfort such as ‘turning the thermostat up’ were taking place while tenants were reporting thermal sensation ‘neutral’ or ‘a bit warm’. This indicates that either there is an indiscrimination among the various thermal sensation levels or alliesthesia plays a role and the neutral sensation is not comfortable, or many actions are happening out of habit and not in order to improve one’s thermal comfort. A chi2 analysis showed that only six actions were correlated to thermal sensation in thermally poorly efficient dwellings, and six in thermally efficient dwellings. ANASTASIOS, Ioannou; ITARD, Laure; AGARWAL, Tushar. 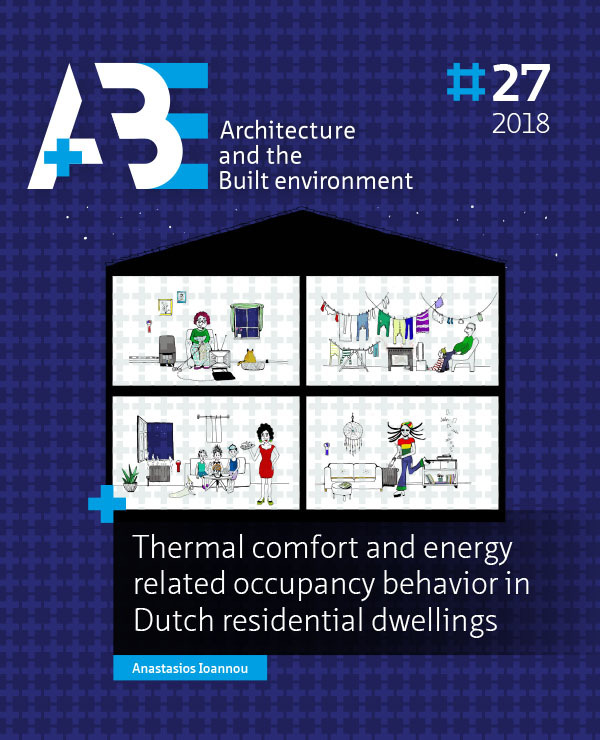 In-situ real time measurements of thermal comfort and comparison with the adaptive comfort theory in Dutch residential dwellings. A+BE | Architecture and the Built Environment, [S.l. ], n. 27, p. 139-164, dec. 2018. ISSN 2214-7233. Available at: <https://journals.open.tudelft.nl/index.php/abe/article/view/3513>. Date accessed: 26 apr. 2019. doi: https://doi.org/10.7480/abe.2018.27.3513.